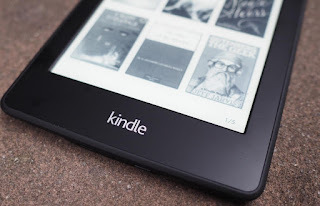 In this Christmas season, you might be considering purchasing a Kindle for yourself, a family member, or a friend (lucky him or her!). The price is very good at around $100. It is lightweight and very easy on the eyes if you are reading for an extended period of time. Battery life lasts for weeks. I bought mine two years ago and have had zero issues. I purchased one for my daughter last Christmas. It developed some issues about a month ago. I had no problem exchanging it under warranty. The replacement arrived at my remote location within a week. The only drawback is you may enjoy reading on it so much you start to question how much you are spending on books. Here is where I can help you! Tomorrow's post is all about getting books on the cheap or even for free!